2017 recorded a great success for Vietnam’s economy as the GDP expanded 6.81 per cent - the highest in a decade. This result came from Vietnam’s resolutions to build an enabling government of action, support, integrity, and service for development clearly shaped by both policies and actions. These resolutions have been translated into positive changes in the business environment and appreciated by the business community. 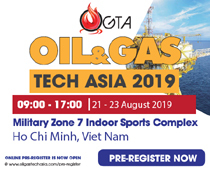 The Vietnam Business Forum has an exclusive interview with Dr Vu Tien Loc, President & Chairman of the Vietnam Chamber of Commerce and Industry (VCCI), on this topic. 2017 was seen by the business community as one of the most important recognitions of the Government’s efforts to create a business environment conducive to business development. What do you think of this? With the resolutions to build an enabling government of action, support, integrity, and service for development clearly applied by policies and actions, the Government of Vietnam has worked hard to drastically reform the business environment. Right at the Prime Minister - Business Conference in 2017 when VCCI asked the Government to reduce costs for businesses, the Prime Minister decided that 2017 would be the year of reducing costs for businesses. The Government and the Prime Minister have always paid attention to the reform of administrative procedures, the simplification of business conditions and the reduction of business inspections and examinations. The directives of the Government and the Prime Minister have been gradually spread to ministries, branches and local governments at all levels. Meetings and dialogues with business have been organised regularly and continuously at various levels and branches. A lot of difficulties of enterprises have been removed by relevant agencies and sectors. As directed and guided by the Government and the Prime Minister, many ministries and sectors such as the Ministry of Finance, the Ministry of Industry and Trade, the Ministry of Agriculture and Rural Development and the Ministry of Science and Technology have taken the initiative in reviewing and adopting many plans to reform business conditions, simplify procedures and reduce specialised inspection procedures to facilitate enterprises to make investment and do business. Needless to say, 2017 is the first year that ministries and sectors proactively proposed approaches to reduce business conditions, after many years of only hearing the recommendations of enterprises and research agencies. In general, these efforts have been building up the confidence of the business community. The number of new business start-ups, corporate operation resumptions and business capital value has increased dramatically. Vietnam witnessed 153,307 companies establish and resume business operations in 2017, including 126,859 new entities and 26,448 suspended units that resumed operations. A total of VND3,160 trillion was injected into the economy in the year. Corporate establishments and registered capital set the records in 2017. Compared with 2011, new start-ups and registered business value in 2017 increased 1.6 times and 2.5 times, respectively. The government agreed on the 2018 theme of “Discipline, integrity, action, innovation and effectiveness” with the aim of achieving 6.7 per cent GDP growth. With the results achieved in the past year, businesses expect the Government will continue to create an increasingly attractive business environment. The private sector is defined as the driving force for the economy in the coming time. However, the fast-rising cost of doing business and troublesome administrative procedures are burdens on enterprises. For you, what do we need to do to facilitate the development of the private sector? The Star of Hope for the Vietnamese economy is the private sector, making up about 39 per cent of the gross domestic product (GDP), which is expected by the Prime Minister to rise to 60 - 65 per cent. Therefore, we must have a consistent mechanism, and businesses are supposed to have more recommendations to remove barriers and difficulties against them. Vietnam has made efforts to improve institutions, business and investment environment and support the private sector; however, these efforts are insufficient. The path for private businesses calls for a market-leading role of the State to create a fair environment, socialise public services and reduce business costs. Not only liberating institutions and the business environment, Vietnam should introduce policies on private sector development support. Fast-growing economies in the world do so, but this, in fact, is limited in Vietnam. Administrative costs are now twice official costs. Although streamlined, they are still very heavy. The cost of doing business in Vietnam is rising fast and higher than labour productivity growth, which has led to an increase in trade union and insurance expenses. It is necessary to socialise and transfer public services from State agencies to social organisations and markets to reduce costs. 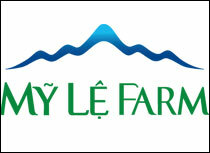 Besides, linking Vietnamese companies and foreign-invested firms is still unsuccessful. Foreign companies must understand that this linkage should be considered a social responsibility to the place where they invest, because they will have higher competitiveness if they have strong partners. Most importantly, to make the private sector a truly dynamic sector and a driving force of the economy, authorities at all levels must act as committed for the favourable development of people and businesses. APEC 2017 in overall and VCCI-hosted side events brought in various opportunities in business and investment cooperation for the business community and uplifted the national status. Could you please tell more about VCCI’s achievements and upcoming directions for trade and investment promotion? The APEC Vietnam Year 2017 was a great success, both bilaterally and multilaterally. 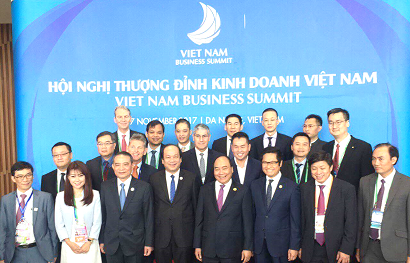 Especially, with the participation of the business community from major economies in the world, VCCI initiated many contacts, conducted interviews and dialogues for Vietnamese enterprises to have the opportunity to meet and exchange experience as well as promote cooperation opportunities with giant global corporations. A series of big forums hosted by VCCI such as the APEC CEO Summit, the Vietnam Business Summit, the APEC Business Start-up Forum, the APEC Women Entrepreneurs Forum promoted potential and opened up new opportunities for economic and trade development. 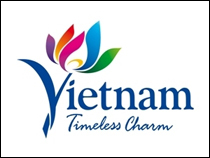 Never before have so many of the international business community come to Vietnam. Recommending the initiative of setting up the APEC Start-up Network and the APEC Women Entrepreneurship Network, VCCI was determined to play its founding and leading role in promoting entrepreneurship in Vietnam and in the APEC community. 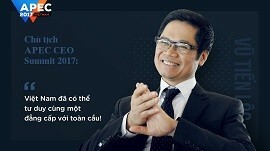 The successful hosting of the APEC CEO Summit and the Vietnam Business Summit, with more than 1,500 Vietnamese and foreign attendants at the APEC CEO Summit and more than 2,000 participants at the Vietnam Business Summit, created a positive ripple effect on the domestic business and investment environment. A total of 121 agreements worth more than US$20 billion were signed, including US$12 billion agreed between Vietnamese and United States companies. Among remarkable contracts were the US$1.5 billion deal on Pratt & Whitney PW1100G-JM aircraft engine maintenance, an MoU on US$1.3 billion Son My liquefied natural gas depot project, an MoU on upstream liquefied natural gas supply cooperation and investment, and a PW1100G-JM engine purchase and support agreement. With the initiative of supporting localities to promote their images, trade and investment opportunities during the APEC Economic Leaders’ Week, the “Vietnam: We mean business” Exhibition, which had a total of 70 booths, including 51 for localities, attracted the attention of thousands of visitors. The organisers also arranged dozens of interviews and contacts for provincial leaders and foreign partners for the former to promote FDI attraction. APEC events achieved the goal of people at the heart, businesses as momentum, free and fair trade. In the whole process towards the agreement of economic leaders, the role of the business community was affirmed and promoted. Inspired by the success of APEC 2017, VCCI will continue to keep up current momentum and serve as a positive bridge for domestic and foreign businesses. 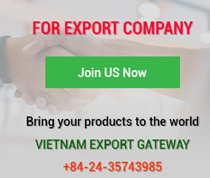 Market promotion and expansion will be accelerated, particularly the Conference on “Doing business with Vietnam - Post WTO”, cooperation activities with the French Employers Federation, the Korea Trade and Industry Association, the American Chamber of Commerce and EuroCham, will be conducted in 2018. 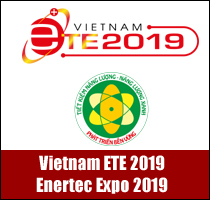 Bilateral and multilateral conferences as well as business matching events among Vietnamese and international companies will also be implemented by VCCI. In addition, VCCI will continue to coordinate with and support localities to boost trade promotion and investment plans.